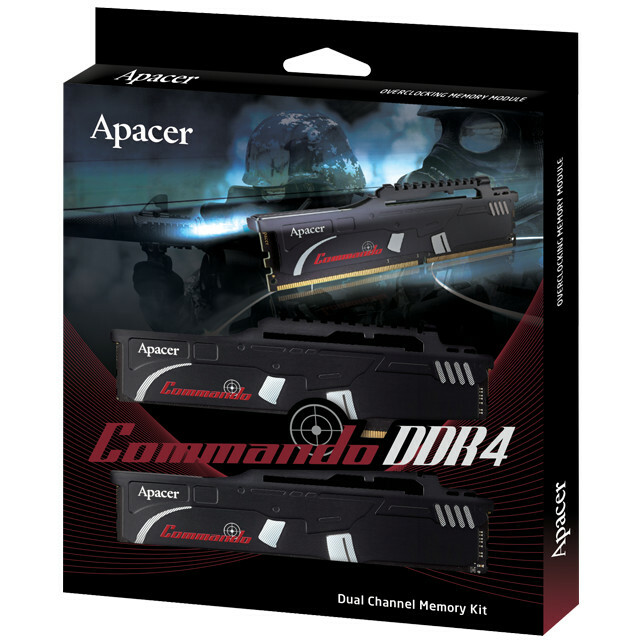 Apacer a company best known for their Commando PT920 PCIe NVMe SSD will also be releasing updated higher performance memory kits with a similarly styled Commando aesthetic for DDR4 memory. 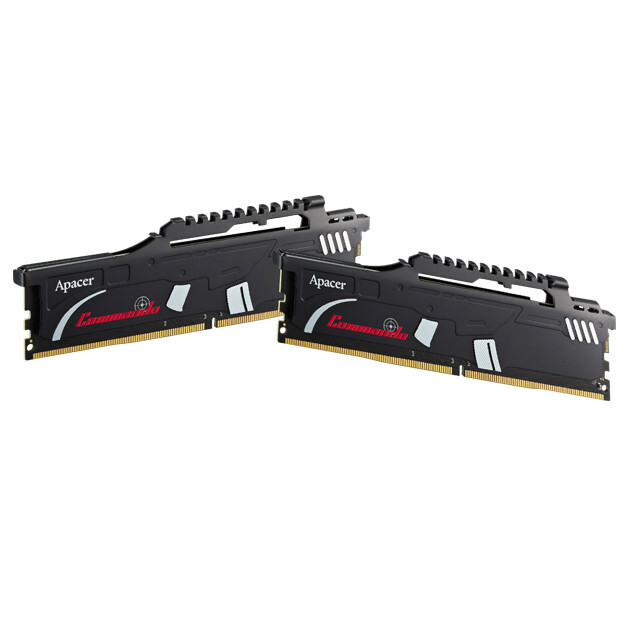 The Commando DDR4 series comes in 16GB (2x8GB) dual channel kits of frequencies of DDR4 3466 CL16 (which was originally a CL18 as reviewed by Eteknix) and the new DDR4 3600 (EK.16GA4.GFAK2). It features its characteristic heatspreader with a rail sight seen on many military style rifles giving it the military look. Many people seem to dislike it, but frankly I think it may fit specific themed builds. Honestly it should be best suited for a very high clocked Coffee Lake or Kaby Lake system, otherwise 3600MHz is kind of wasted, although perhaps with Ryzen 2 SKUs releasing soon you may see a reason to pick one of these up, but time will ultimately tell. As for who the memory supplier is, it’s totally unknown, although knowing Apacers history with memory suppliers, I’m going to take a guess and say its SK Hynix, as they’ve supplied to Apacer more often than any other brand I’m aware of. 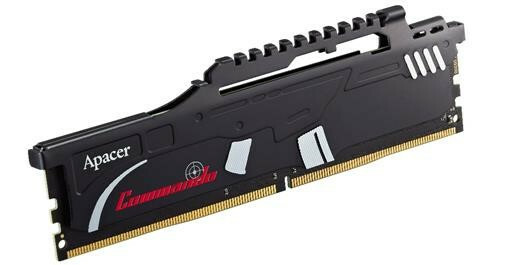 The new revision of the DDR4 3466 comes in with tighter timings at 16-18-18-36 over 18-18-18-42 for last years model with both being 1.35V and the DDR4 3600 kits doing its clock speeds at 17-19-19-39, and 1.35V on the module voltage. 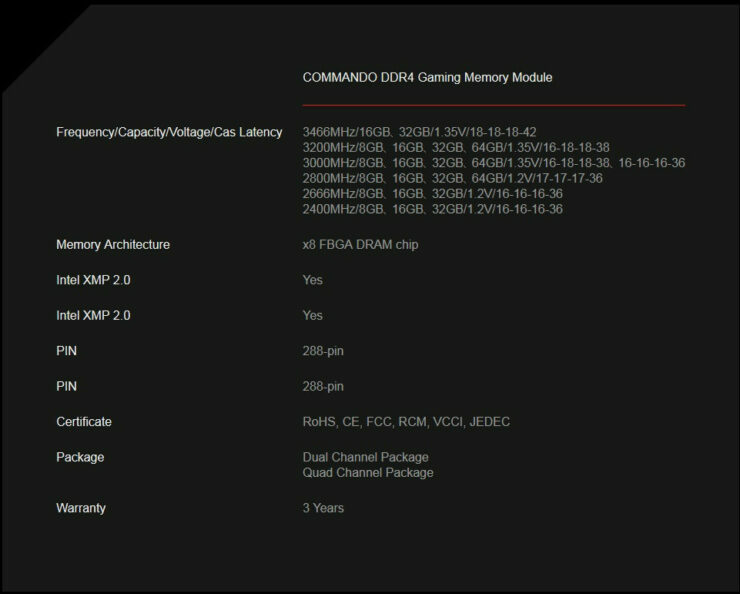 Both of these kits are XMP2.0 compliant, meaning you should be able to hit the advertised speeds with a click of a button button in your UEFI, though on Ryzen powered AM4 motherboards you may have to put the timings in manually. Although they are available now, we couldn’t track any kits down in America currently. 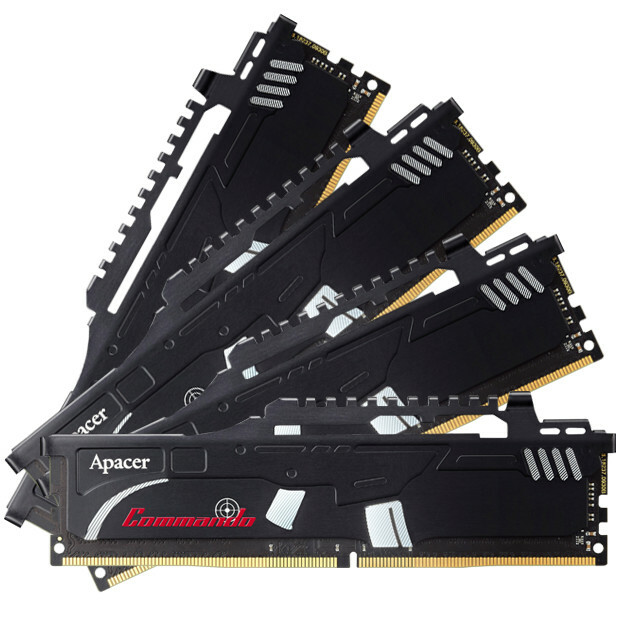 Pricing in europe is rather high at 254€ for the DDR4 3466CL16, while the DDR4-3600 kit will be available for 379€, and yes I think that is quite a lot too.